In the early 1750s the Quaker ironmaster, Abraham Darby II, decided to increase his ironmaking capacity by constructing two new blast furnaces at Horsehay, to the north of Coalbrookdale. The first came into blast in 1755 and the second in 1757. Two years later a rail link was built from the ironworks to the Severn Wharfs at Ironbridge, arguably the world’s first commercial railway. A forge followed, and by 1790 one of the very first rolling mills. The Horsehay Works had come into being and for the next two hundred years it represented one of the most innovative ironworks within the industry. It manufactured a huge number of products, not least bridges. The rolling mills are also notable as having rolled many of the plates for the world’s first iron steamship, the SS Great Britain. 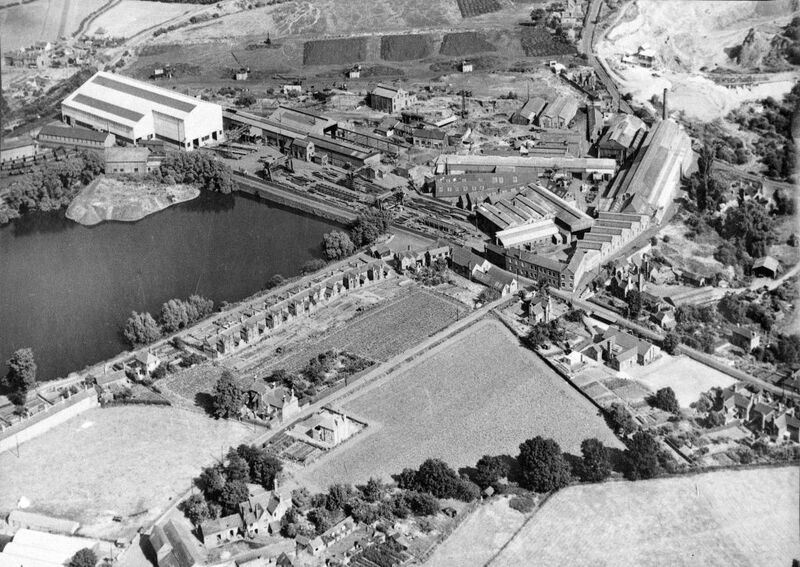 The company was taken over in the early 1960s by Joseph Adamson and thereafter a number of different owners before its final purchaser, Norcros Group During this era the Horsehay Works supplied products to the steel and railway industries, and particularly the production of heavy lifting cranes to customers all around the globe. Since the works had lost its rail link to the main line, many of these huge engineered products had to be transported to their destinations by road. Indeed, some of the longest and heaviest engineered products that ever travelled on British roads set out on their journeys from the little village of Horsehay in Shropshire. Horsehay Works finally ceased production in December 1984. It was not only a very sad day in the life of a village and of an enterprise of more than 200 years standing, but also the loss of a highly skilled workforce. One of the company’s final customers commented to the commercial manager: ‘ I was told that AB Cranes (as the company was still known) were the Rolls Royce of crane makers. I can now confirm that you are!’ A fitting tribute to a very fine company.